If we missed something, e-mail us at news@fanfilmfactor.com. Starbase Studio’s STARSHIP GRISSOM releases its debut episode! The first episode of the TOS-based educational fan series Starship Grissom is now online. This series is written by a group of teachers from Highland East Junior High School in Moore ,Oklahoma and is designed so educators anywhere can download and use it in the classroom. A complete set of lesson plans and introduction videos, in a variety of subjects, is also released with each episode. All lessons meet Common Core and STEM standards and can be modified for Advanced Placement or Special Education students. The goal is to provide a complete teaching resource using science fiction to promote interest in science, technology, and education. Feedback from the Star trek community is greatly appreciated. In what is likely the final documentation containing legal arguments to be submitted before the court hearing on May 9, 2016, the attorneys representing Axanar have just filed a Response to Paramount and CBS’s Response to Axanar‘s latest Motion to Dismiss (itself a response to Paramount and CBS’s Amended complaint for copyright infringement). Here is a link to the text of the ORIGINAL lawsuit. Here is a link to the text of Axanar‘s ORIGINAL response. Here is a link to the text of the AMENDED lawsuit. Here is a link to the text of Axanar’s SECOND response. Here is a link to the analysis of CBS/Paramount’s response to that. And here is a link to the FINAL response from Axanar. For a more complete list of media coverage of this story, Axanar has provided this Press Room Page full of links to news reports and editorials regarding the lawsuit. Scotland’s STAR TREK: INTREPID releases a brand new episode! 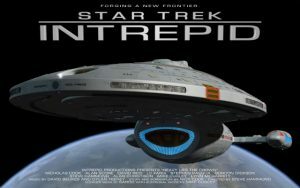 Watch Star Trek: Intrepid‘s latest episode-“Nemo Me Impune Lacessit“-here! Yesterday, fan rumors began furiously flying when two separate fan series websites were suddenly unavailable at the same time! Was this some new offensive by CBS and Paramount to shut down all fan films??? Stand down from red alert, folks. It turns out that nothing so earth-shattering happened. In the case of Axanar‘s website, the glitch appears to have been just that, and the site is back up and running normally. 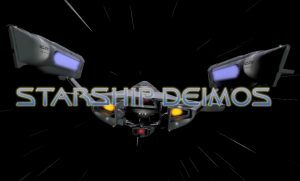 Watch Starship Deimos’s second vignette–“Aftermath”–here! 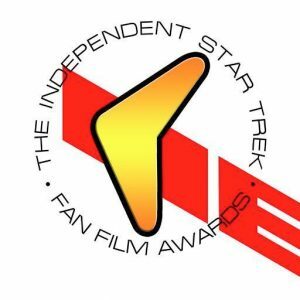 Independent Star Trek Film Awards – Winners Announced! Although the Treklanta convention has not yet (as of this posting) updated their website, they have created a video announcing their winners for 2016. This is their second year presenting these awards. Alec Peters of Star Trek: Axanar, who attended the event in Atlanta, just posted a list of all of the winners in text format (which is faster to read than watching the entire 9-minute video). The only fan film/series represented at the con to receive their award in person was Starship Tristan. STAR TREK: HORIZON’S TOMMY KRAFT announces a new NON-TREK Kickstarter! 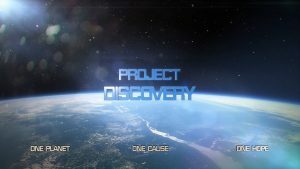 A few days after announcing that he was shutting down his proposed Star Trek: Horizon sequel, Federation Rising, fan filmmaker extraordinaire TOMMY KRAFT announced a new KICKSTARTER for an original (non-Trek) project called PROJECT DISCOVERY. The Kickstarter has a very ambitious goal of $250K in two months, but it managed to raise its first $4.6K in just 10 hours! 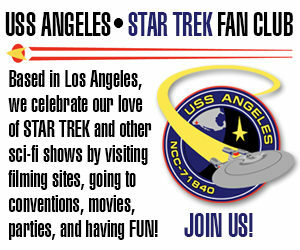 Fans became concerned earlier today when the Star Trek: New Voyages/Phase II Facebook page went off-line. 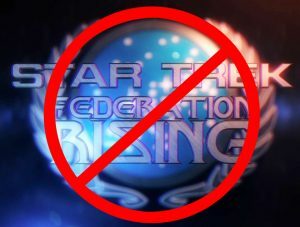 After Tommy Kraft was urged by CBS to shut down Star Trek: Federation Rising earlier this week, fans worried that the venerable and highly-popular New Voyages would be next! This Facebook page will continue to represent the fan film project. This is the first time I’ve ever been interviewed for a podcast, folks! Please let me know how I did. If you’d like to hear the entire podcast, click here. In a move that is sure to cause ripples throughout the world of fan films, CBS has contacted TOMMY KRAFT and advised him NOT to create a sequel to his highly successful STAR TREK: HORIZON feature-length fan film. Tommy was set to launch his Kickstarter campaign this coming weekend. Instead, he just announced that his sequel project, STAR TREK: FEDERATION RISING has been shut down.